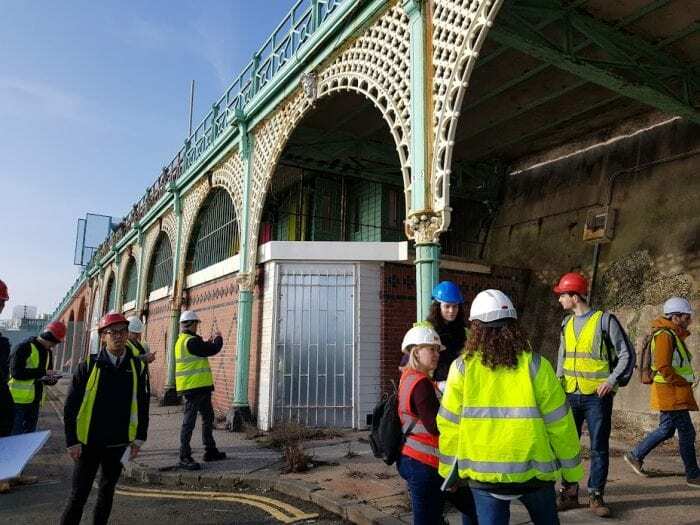 Final Year students on Building Surveying BSc(Hons) are working with Brighton and Hove City Council to deliver ideas to restore the iconic Madeira Parade Arches and to assess the suitability of their use for commercial restoration. BHCC have crowd funded £450,000 for the refurbishment of 3 of the arches which includes preserving the oldest and longest green wall in Europe. This entry was posted in Construction, Events, Life at Brighton, Projects, Uncategorized, Undergraduate.